I had lunch with Ira Wiesenfeld a couple of weeks ago. He is a licensed Professional Engineer and travels all over the country making Paging and other types of radio communications systems work right. He loaned me a copy of the April 2003 issue of Mobile Radio Technology magazine, which has an article that he and Robert Smith wrote about troubleshooting antenna systems. It is also online: Antenna System Troubleshooting Simplified. This is a good article and explains the benefits of the new affordable Frequency Domain Reflectometry (FDR) antenna test equipment. Ira is also the author of the book, Wiring for Wireless Sites. (Available on Amazon.com) I have a copy and recommend it for all field technicians and engineers. I am looking forward to seeing many old friends and meeting some new ones at the IWCE trade show in Las Vegas. Because of the travel to the show, there will not be a newsletter next week. I will try to get a report on the show out to everyone on the following Monday or Tuesday—as I have done in the last two years. I will be roaming around the exhibit halls at the IWCE on Wednesday (April 6) and Thursday (April 7). The exhibit area will be open form 10:00 AM to 5:00 PM on those days. The best place to look for me will be in booth number 3064 with the AAPC since I am a strong supporter of this organization. If you are interested in what's going on at USA Mobility, the best source of official information is from their company update given in a conference call on March 17th. If you didn't get to listen to the call, a full transcript was included in their form 8-K filing with the SEC on March 21st. You can click on the link and download the whole report in a "pdf" file. I compiled a recap of their four 2004 quarterly reports here in case you didn't see it in previous newsletters. Now on to the News and Views about Wireless Messaging. JACKSON, MS—USlegal, Inc., a newly formed holding company whose assets include USlegalforms.com, announced today that it has entered into a Stock Purchase Agreement with former SkyTel Communications Chairman John N. Palmer. Under terms of the agreement, Palmer has acquired the right to invest in excess of $5 million in the Company. Palmer will join the USlegal Board of Directors. USlegal, Inc., as a parent corporation of various USlegal companies, integrates offerings to attorneys and the public which include legal information, legal products, legal forms, and document preparation. Much of the Company’s success has been fueled by USlegalforms.com, which delivers immediate access to more than 36,000 state specific legal forms. According to USlegal CEO Frank Edens, the capital provided by Palmer will assist the Company in taking advantage of growth opportunities in the legal publishing industry. “John Palmer has been a founder and chairman of several very successful companies and his investment underscores a very important endorsement of the concept our Company is developing,” said USlegal CEO Frank Edens. 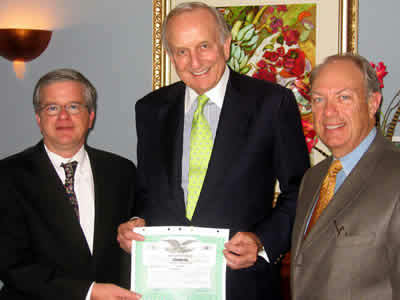 Palmer, former Chairman and founder of SkyTel Communications, was appointed by President George W. Bush to serve as U.S. Ambassador to Portugal, a post that he held until this year. In addition to SkyTel, which he sold to MCI WorldCom in 1999, he formed Mobile Communications Corporation of America (MCCA), which he later sold to Bell South. “I have looked at many opportunities in the technology field and was impressed with the proven track record and business model that USlegal, Inc. has implemented. I am excited about being involved and taking this Company to the next level,” said Palmer. John Palmer has been an entrepreneur, telecommunications pioneer, and community leader. He began his career in telecommunications with the purchase of a local radio common carrier in 1965. By 1973, he had developed more than nine regional paging companies throughout the South. That year, he formed Mobile Communications Corporation of America (MCCA). During his 16-year tenure as Chairman and President, MCCA grew to become a significant force in the cellular telephone business. In 1989, Palmer sold MCCA to BellSouth but retained certain businesses that became SkyTel Communications. These operations included SkyTel's domestic one-way paging and advanced messaging system and Latin American paging services. SkyTel became a leader in advanced wireless messaging and deployed the first nationwide two-way wireless messaging network. Palmer served as Chairman of SkyTel until its sale to MCI WorldCom in 1999. Palmer was appointed U.S. Ambassador to Portugal by President George W. Bush and held the post from 2001- 2005. Prior to his appointment as Ambassador, Palmer was Chairman of GulfSouth Capital, Inc. in Jackson, Mississippi, which helped finance tech companies. He was also appointed by President Bush to sit on the President’s Export Council as a Private Sector Advisor to the Secretary of Commerce and by President Reagan as the Private Sector Trade Advisor to the Office of the U.S. Trade Representative. A native of Mississippi, Palmer received both a bachelor’s degree and M.B.A from the University of Mississippi. USlegal, Inc. owns websites which offer a variety of products and services to attorneys and the public, including legal information, legal products, legal forms, and document preparation. USlegal, Inc. is a multi-faceted publishing company, which has pioneered Internet ventures geared toward the legal profession, businesses, and the public since 1997. Much of the Company’s success has been fueled by its website USlegalforms.com which offers more than 36,000 legal forms and is the first company on the Internet to offer state specific legal forms for all 50 U.S. states. The founders of USlegal, Inc. are Frank D. Edens and Lem Adams, III, both attorneys and partners of Adams and Edens law firm in Brandon, MS. USlegal products are designed to assist attorneys in conducting their business more efficiently and to help consumers with common and routine legal needs. For more information about USlegal, Inc., please visit http://www.uslegal.com or call (601) 825-3065. Victoria, B.C. 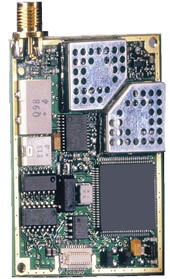 Canada—March 30, 2005—Daniels Electronics Ltd., a supplier of high reliability LMR radio equipment, today announced the introduction of a Digital Radio Router that enables repeater steering across multiple hops through the entire radio network and digital voting. The CI-RC-4M Multiple Link Controller is capable of controlling up to four P25 Digital LMR RX/TX radio pairs and is housed in a 1U 19” rack mountable module. The unit can control each transceiver pair in a number of different configurations from standard drops and links to CTCSS, NAC and DTMF controlled drops and links. The Multiple Link Controller also supports priority voting for digital P25 signals. Priority voting selects the first receiver to synchronize to the incoming signal allowing the transmitter or console to use the best signal for communication with the subscriber. 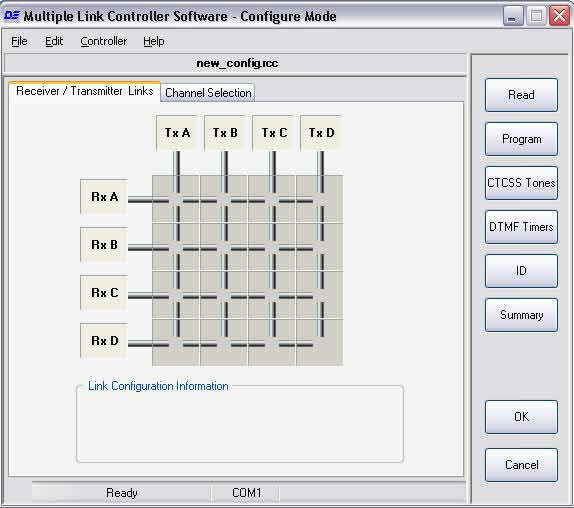 The Multiple Link Controller allows 7 CTCSS tones and 7 NAC codes to be programmed into each path of the controller allowing the user to steer the transceivers by turning links “On” and “Off”. Transmitter channels can be changed, according to a global channel selection table, using NACs (channels 1-16) or CTCSS tones (channels 1-15.) 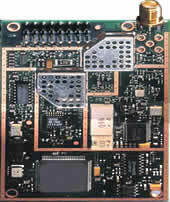 This system also has an auxiliary E&M connection available which can connect up to four transceiver pairs. 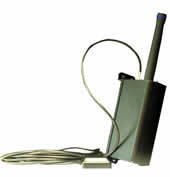 This external connection can be used in cases where tone remotes are required at a site. Cell phone owners ages 18-27, known as Generation Y, represent the group most likely to send a text message, with 63 percent sending messages, a new study finds. "The proliferation of cell phones and the spread of text messaging are changing patterns of communication for many Americas—especially younger ones," said Lee Rainie, director of Pew Internet & American Life Project. Pew Internet & American Life Project gathered information through a telephone survey of 1,460 cell phone users between Jan. 13 and Feb. 9. Research also uncovered that 31 percent of Generation X (ages 28-39) cell phone owners text message, while 18 percent of younger Baby Boomers (ages 40-49) and 13 percent of older Baby Boomers (ages 50 to 58) send text messages, respectively. Adults, as a group, are warming to the technology, with 27 percent of adult cell phone owners sending a text message with the last month. Twenty-eight percent of respondents said they have received an unsolicited commercial text message on their wireless device. WIRELESS REMOTE BBQ THERMOMETER PAGER: It seems that everyone enjoys a good barbecue—except the chef, that is. That's because the poor guy has to stay next to the hot grill making sure the burgers his guests want cooked "medium" don't become well-done. And who wants to hang out next to the guy who's alone and next to hot coals? Well, this new gadget will make barbecues more fun for everyone. It's a barbecue thermometer with a wireless pager. Stick the probe in the meat, set the desired temperature on your pager and walk away—with the pager, of course. When the meat has reached the temperature you want, the pager goes off. Bulldog Technologies Inc., a provider of wireless sensor networks and solutions that monitor, track and secure assets in the supply chain, announced today that it has been granted a new patent for a security/tracking device that attaches to the rear locking rods of a cargo container or tractor-trailer by the United States Patent and Trademark Office. The patent outlines a solution which provides continuous feedback on security status to a receiving device, be it a device connected to a monitoring network or a mobile pager type. This unique technology is employed throughout Bulldog's BOSS portfolio of industry-leading wireless cargo security devices for the supply chain. "This patent is the main building block of our strategic wireless cargo security portfolio," said Heetor Wald, CTO of Bulldog Technologies. "This will provide Bulldog the platform from which to continue to develop customer and market driven industry leading technologies to monitor, track and secure assets in the supply chain." The granting of this patent demonstrates the market leading position that Bulldog Technologies Inc. touts in cargo security. The BOSS line of products are designed not only to deter entry but to wirelessly alert the monitoring station should tampering occur. The product line has been proven to be invaluable in port yards, distribution centers, over the road trucking, retail stores and within the law enforcement community. "The patent represents that Bulldog has the exclusive right to have a device attached to the locking bars of a container or tractor-trailer, with or without GPS services transmitting security data to a monitoring receiver or mobile pager. The patent is an asset to Bulldog, setting us apart by demonstrating that our technology is truly unique", added John Cockburn, President and CEO of Bulldog Technologies. "This is a significant milestone for Bulldog and its shareholders as we continue to build out our presence throughout the various stages of the cargo supply chain, as it will surely create a barrier of entry for our competitors and keep Bulldog and the BOSS portfolio of wireless cargo security solutions at the forefront of the cargo security industry." The Team Amber Alert services are free. If compatibility problems exist our team will find ways to deliver the notification alerts. Antonia Plemmons, CEO and founder of Team Amber Alert, says she has responded to the millions of requests to receive messages via personal digital devices to the public. "Proven success Amber Alerts are solved when a citizen sees a vehicle or a subject involved in the missing child abduction alert. When you are cruising with friends, you most likely have your cell phone, Pager or PDA with you." Team Amber Alert is the Net's Amber Alert distribution entity that has proven to deliver Amber Alert information directly to media from law enforcement sources in all 50 states, Canada and Britain (Soon to be Ireland). Team Amber Alert's XML and RSS feeds have transmitted well over 260 Amber Alerts to major broadcaster markets in two plus years with proven accuracy and reliability. Interviewed and/or linked to by media broadcasters like CNN, CBS Affiliates, ABC, NBC and Fox News when reporting on Amber Alerts or Missing Child Alerts so that their viewers can see nearest real time updates. Plemmons says, "The Team Amber Alert ticker has made its point to be the most on time alert notification ticker in the world—people help find children by staying alert, and notification is our goal." The information is delivered to an audience over 5 million viewers on a daily basis, with the information appearing on websites and computer desktops, including television stations, radio stations, and talk shows. "The public demands our system on a 24 hour basis and we will continue to answer their demands. Growth continues to be steady as we increase our reach to the Public through regionalization and localization (language selections)." "Having designed the growth of Team Amber Alert into a trusted News Source for AMBER Alerts in North America via our XML feeds to digital media. The Team Amber Alert Ticker's are both web based and desktop based tools to alert the global net community" said Plemmons. We do more than the news we work to find the missing by directly empowering the left behind family with the needed counseling and strategies to bring their children home. Team Amber Alert grew out of a plan by left behind parents to get their children with recovery strategies we call Home Run Campaigns. Team Amber Alert continues to change the way America looks for missing child of any age. Forensic Search Dog Program Places dogs in communities. Each Project City need to raise about $10,000 to $20,000 plus maintain a full time employee as a dedicated handler. Dog and handler are bonded for life. We need your help to bring these dogs to every community in the country. SOURCE Team Amber Alert, A Texas Base Corporation Determined by the IRS to be a Public Charity 501 (c)(3) Corporation. Web Site: www.TeamAmberAlert.Net Largest Broadcaster of Amber Alerts Globally Offers Free Service to Digital Communication Devices. The two hottest devices for receiving wireless e-mail today are the BlackBerry from Research In Motion Ltd. and the Treo from palmOne Inc.
Each company has a rapidly growing collection of customers that are getting hooked on the idea of being able to access their data while on the move. While a debate rages over which company's gadget has the best features, investors have clearly staked their preference between the two. Even with both companies reporting nearly identical sales of about $1.2-billion (U.S.) in the last 12 months, RIM has a market valuation of $14.6-billion, more than 12 times greater than the $1.2-billion of Milpitas, Calif.-based palmOne. RIM's share price has increased 71 per cent in the last year, compared with nearly 76 per cent for palmOne. But investors' willingness to pay more for RIM comes down to a handful of factors. The Waterloo, Ont.-based company is both a hardware and software player. Even though hardware accounts for an increasingly large share of RIM's revenue (71 per cent in the third quarter), the company is trying to boost software sales with an ambitious program to license its technology to rival hardware companies, including Nokia Corp., Siemens AG, and Motorola Inc.
Analysts say RIM's decision last week to pay $450-million to settle a patent infringement suit with NTP Inc. could spur the rollout of new lines of hardware running BlackBerry software. In contrast, the original creator of the handheld device, Palm Inc., split its hardware and software operations into two separate companies. PalmSource Inc. is now responsible for licensing the Palm operating system, but it has been unsuccessful in getting it onto non-Palm devices. "Fundamentally, we remain concerned about palmOne's hardware-only business model that's heavily dependent on the success of a single production (Treo) with intensifying competition and its inconsistent execution," Andrew Neff, an analyst with Bear Stearns & Co. Inc., wrote in a recent research note. Execution is another factor that has been hurting palmOne's stock. Last week, the company reported quarterly profit in line with previously reduced expectations. It also topped the Street's revenue forecast, posting an increase of 18 per cent, to $285.3-million. But management issued guidance that fell short of consensus, saying some products won't ship on time this quarter. PalmOne has revealed inventory management problems before, and investors showed little patience on hearing the news, knocking nearly 9 per cent off the stock. In January, Tom Bradley, palmOne's chief executive officer, resigned. His departure followed that of both the chief financial officer and the head of global operations last year. In his report, released after last week's results, Mr. Neff said investors seem to have factored all of these concerns into palmOne's stock. He boosted his rating to "peer perform" from "under perform," on the expectation of good sales of the Treo line. PalmOne has sold about one million Treos since introducing the device in October, 2003. In comparison, RIM, which launched the BlackBerry in 1999, reported about two million subscribers at the end of its third quarter on Nov. 27. PalmOne relies on third party software companies such as Good Technology Inc. to sell the software that relays e-mails and other applications to its devices. Good reports signing up about 4,000 corporate customers who use the Treo, including the world's largest retailer, Wal-Mart Stores Inc. But most analysts still consider RIM the dominant player in the enterprise market, in part because it has developed close relationships with more than 80 carriers around the world. Maynard Um, an analyst with UBS Investment Research, thinks the company is well positioned to fend off all competitors. "We think competitive fears regarding Microsoft, Good, etc. have been overblown. Feedback from carriers indicates these products are having minimal impact to BlackBerry sales," he wrote in a report. PalmOne shares (PLMO) rose $1.86 to $24.35. RIM shares fell $5.61 (Canadian) to $93.69. Verizon wins MCI with a beefed-up offer, leaving Qwest out in the cold after a bruising, six-week bidding war. MCI accepted a sweetened takeover offer of $7.6 billion from Verizon Communications on Tuesday, spurning Qwest’s higher offer of $8.45 billion. Verizon hiked its cash-and-stock offer to $23.50 per share, up from the $20.75 per share, or $6.75 billion, that Verizon originally agreed to pay when the companies stuck a deal in mid-February. In addition to adding more cash, the bid includes protection against a decline in its stock price. "MCI's board has been closely and carefully evaluating all of the recent developments," said MCI Chairman Nicholas Katzenbach. "We believe Verizon's substantial increase in its offer, the strength of its competitive position, and the financial certainty at close make this offer compelling to our shareholders, customers, and employees." MCI shareholders will receive at least 0.4062 shares of Verizon for each share of MCI. The deal also includes $2.75 per share in cash plus $5.60 in special cash dividends, not including a $0.40-cent dividend recently paid by MCI to its shareholders. Shares of MCI, the second largest long-distance carrier, slipped $0.24 to $27.10 in recent trading, while shares of Verizon, the nation's largest telecom services provider, rose $0.69 to $35.41. Qwest disagreed. “We respect the right of Verizon to change the composition and value of their bid, but we still believe our proposal creates superior value for shareowners,” said Qwest spokesperson Claire Mylott. “We are going to assess the situation and determine what is in the best interests of shareowners, customers, and employees.” Shares of Qwest Communications, the nation's fourth-largest local phone outfit, rose $0.08 cents to $3.83. Consolidation within the telecommunications field has accelerated over the last few years as rising competition has pushed regional phone companies and long-distance carriers to cut costs and find new customers. As cable companies try to woo residential customers, and disruptive technologies like voice-over-IP (VoIP) challenge traditional phone service, regional carriers find themselves in a defensive position. Over the past six weeks Qwest has fought a vigorous battle. Tuesday’s decision came a day after Qwest set an April 5th deadline for its raised offer in yet-another letter delivered to MCI and filed with the Securities and Exchange Commission. Now that Verizon and MCI have settled down to a happy union, the fate of Qwest, often called the runt of the Bells, is in limbo. The company carries a $17.3 billion debt and has a shaky financial history that has led to charges by the Securities and Exchange Commission against the former CEO and several former executives. Qwest also lacks a wireless arm, a significant disadvantage since the traditional wireline industry is declining and carriers are looking at wireless as key industry growth. “They are certainly not participants in the growth markets,” said Robert Rosenberg, president of research firm Insight Research. Though MCI announced on Valentine’s Day it planned to merge with Verizon, Qwest and Verizon have been battling it out through press releases and sharply worded letters ever since. Mr. Seidenberg claimed in one letter to MCI executives that Qwest’s last-ditch bidding had a “desperate quality.” He said a merger with Qwest would be “perilous” for the long-distance company. He pointed to Qwest’s $17.3 billion of “junk” debt and other liabilities, concluding there are “dim” prospects for the company’s growth. “Qwest’s claims do not pass a common-sense test,” he said in the letter, which was addressed to Mr. Katzenbach and CEO Michael Capellas. A copy was filed with the SEC. Mr. Notebaert responded by saying it was “unfortunate that some in the process” would deprive MCI shareholders of the company’s true value. “Let fairness, economics, and the best interests of the shareholders decide this matter,” he said. All this came earlier this month, a day after Qwest’s former CEO Joseph Nacchio, along with several former Qwest executives, were charged with “massive financial fraud” by the SEC. On February 14, the Verizon deal—which then included $4.8 billion in stock, $488 million in cash, and $1.46 billion in dividends to be paid by MCI to shareholders—looked likely to go through without a protracted bidding war. Most analysts acknowledged the combination made more strategic sense than the Qwest offer, particularly given uncertainty about the strength of Qwest’s stock and rising threats of competition from SBC/AT&T, Sprint/Nextel and cable companies. Qwest, however, wouldn't give up. It restructured its bid, particularly to address the risk that Qwest shares might drop substantially in value before the transaction could close. Qwest compared the offers openly at an analyst meeting, insisting its offer would result in a “superior deal, superior combination.” As it currently stands, the Qwest bid would have protected MCI shareholders against an up to 10 percent drop in Qwest’s share price, based on $4.15 per share. Qwest said it would pay MCI shareholders an effective value of $24.60 per share. That compared favorably with Verizon’s prior offer of $20.75 per share. The Qwest bid would have been $15.50 in stock for each MCI share and $9.10 in cash, $3.10 paid when the deal is approved and the rest in other dividend payments. Verizon’s earlier offer worked out to $14.42 in stock, $1.50 in cash, and $4.50 in MCI dividends. Qwest has also maintained it could generate cost reductions of $14.8 billion from a merger with MCI and cut 15,000 jobs—about 17 percent of the combined company’s work force. It also promised its EBITDA margin, based on earnings before taxes, depreciation and amortization, would rise from 23 percent in the first year of the merger to 29 percent in the third. Verizon has argued a purchase by Qwest could harm U.S. government and business interests and result in less investment in MCI’s network. Verizon said it will spend less than the $3 billion Verizon has earmarked for MCI’s network, which counts the United States’ Department of Defense and the Department of Homeland Security among its customers. Now that Verizon and MCI are officially on the acquisition path, two more hurdles remain. The union needs to get approval by the Federal Communications Commission. The acquisition will be the third major merger among big telecom companies in as many months. The Verizon/Quest deal follows closely on the heels of SBC’s announced plans to acquire AT&T and Sprint’s proposal to acquire Nextel. Analysts agree that the telecom mergers are not likely to raise regulatory flags, given the current environment favoring light regulation at the FCC. The union could also face a MCI-shareholder lawsuit. Shareholder lawsuits have become increasingly common place over the past few years, and since Qwest’s offer was 25 percent higher than Verizon’s, disgruntled MCI shareholders might turn to the courts. Below is the updated agenda for the PTC meeting to be held on April 5th in Las Vegas. The meeting room will be N101 at the Las Vegas Convention Center. This meeting is being sponsored by Sun Telecom so let's make sure we give them a big thanks for their help!! Welcome to the American Association of Paging Carriers (AAPC). If you are not currently a member of this young and dynamic organization—dedicated to representing your paging interests—you should be! 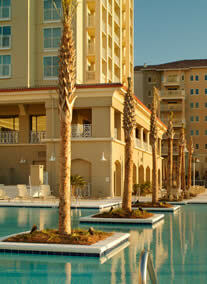 Make your hotel reservations now to stay at the Marriott Resort at Grand Dunes! To receive the special discounted rate of $129/night, call 843-449-8880 and reference AAPC or Paging carriers. New this year—register to go on the Dolphin Adventure Cruise. 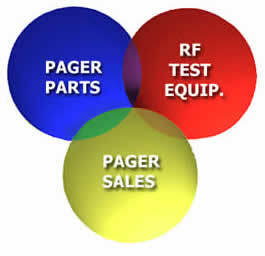 This year's Wireless Forum promises to be a "must attend" event if you are active in the paging industry. The educational sessions will feature distinguished speakers with knowledge and expertise in the wireless industry, coupled with an exhibition floor showcasing the industry's latest technologies and products. Exhibit at the largest paging event on the East Coast! Exhibit space is currently being secured. The Wireless Forum and Myrtle Beach provide the perfect combination of work and play! Electronic communications methods boost productivity and job satisfaction, according to a survey by the Economist Intelligence Unit. Two-thirds of executives now prefer e-mail as a means of business communication over the next most popular options, desktop telephones and mobile phones, which are each preferred by just 16% of survey respondents, according to a global survey of 1,500 workers by the Economist Intelligence Unit. The survey, conducted in October and November in co-operation with Cisco Systems, asked employees about their voice communications practices and preferences in the workplace, their use of communications tools and perceptions of workplace productivity. Communications tools improve productivity. A full 81% percent of respondents say automated communications methods make them more or very productive in the workplace. Moreover, 73% say electronic communications methods somewhat or greatly improve their level of workplace satisfaction, increase the flexibility of their responses (91%) and encourage workers to initiate interactions (78%). In addition, 45% of survey respondents say electronic communications decrease the likelihood of workplace miscommunication. Communicating faster. Five years ago, 77% of those calling someone at their company could reach them within hours or minutes, compared with 90% today. Only half of those calling someone outside their company could reach them within minutes or hours five years ago, compared with 65% today. And only 7% of respondents say it takes a full workday to reach someone at their company today, compared with 18% five years ago. Phone numbers proliferate as workers ascend the ranks. Most respondents have three different phone numbers (such as office, pager, mobile, PDA or home-office numbers). The higher in an organisation executives rise, the more numbers they acquire: 30% of C-level executives have four or more numbers where they can be reached, compared with 21% for manager-level executives. Instant messaging leaders. Those who prefer instant messaging (IM) over other electronic communications stand out as the most ardent proponents of technology: 53% say they use technology for nearly all of their workplace tasks, compared with the general survey response average of 36%. Fully 58% of survey takers who chose IM as their preferred method of electronic communication say the amount of time it takes to communicate electronically has decreased over the past two years. A total of 1,500 executives and employees participated in the survey. People responded from all over the world: about 30% of the respondent universe replied from western and eastern Europe, 26% from North America, and 26% from Asia and Australasia. On March 29, the U.S. Supreme Court will hear arguments in Metro-Goldwyn-Mayer Studios Inc. v. Grokster Ltd., a landmark case that specifically addresses the legality of peer-to-peer Internet file-sharing services, but has broad implications for any technology that could potentially be used to infringe on copyrighted materials. So far, lower courts have ruled that the defendants in the case—Grokster and StreamCast Networks—can't be held responsible for what users do with their software, even if that includes illegally downloading copyrighted songs, films and software products. If the Supreme Court upholds the previous rulings, it would take an act of Congress to outlaw the current generation of file-swapping technologies. On the other hand, members of the broader technology industry are worried that a decision that goes against Grokster will undermine a previous Supreme Court decision they say created a legal climate in which technology innovation has been able to thrive for two decades. The lower court decisions upholding the legality of Grokster and other peer-to-peer Internet services rested on the 1984 Sony Betamax case, where the Supreme Court ruled 5-4 to reject the movie industry's efforts to effectively knock the home video recorder off of store shelves. Hollywood argued that the Sony Betamax, an early VCR, allowed users to infringe on copyrighted works. The justices ultimately decided that because the device had legitimate uses, Sony wasn't contributing to copyright infringement by selling it, even though the company knew that some consumers were using the product illegally. Technology interests contend that if the current court decides to redefine the meaning of the 1984 ruling to find in favor of MGM and the other plaintiffs, it could change the legal landscape for devices ranging from digital television recorders like the TiVo digital video recorder to the iPod digital music player, to the Internet itself. On the other side, record companies say they have tracked billion-dollar declines in compact disc sales since the emergence of Napster in the late 1990s. If file-swapping firms are allowed to continue doling out their software with impunity, the companies say they will have few ways to stop the hemorrhaging, which they say will only get worse as Internet technology improves. The justices are expected to issue a ruling in the case by the end of June. Remarks of Commissioner Adelstein at WISPCON VII on March 21, 2005, "WISPs: Providing Opportunities for Rural America through Access to Broadband." I would like to take a moment to highlight some of these recent actions. Earlier this month, we adopted rules to make 50 MHz of spectrum in the 3650 MHz band available for wireless broadband services. To promote interest in the band, we adopted an innovative hybrid approach for spectrum access, by making the spectrum available on a licensed, but non-exclusive, basis. In many respects, this is a bold decision. Based on some circumstances unique to the band, our decision bucks conventional wisdom. Anyone can obtain a nationwide license, and need only register their high-power fixed sites, therefore making it available for multiple users to share spectrum in the same geographic area. While not a traditional “unlicensed” model, we have taken appropriate steps to significantly lower barriers to entry. This approach should make it much easier for this spectrum to get in the hands of people who are ready and willing to use it. New Orleans—CTIA Wireless 2005 /14 March, 2005—The Wi-Fi Technology Forum/- Pronto Networks, a leading provider of carrier-class OSS solutions for large-scale Wi-Fi hotspot networks and metro-scale hot zones, today announced that, in collaboration with SkyTel, Tropos Networks and Motorola, it has made available a multi city-block Wi-Fi hot zone in the historic Warehouse District of New Orleans just outside the Ernest N. Morial Convention Center. The free Wi-Fi network is part of a pilot project conducted by SkyTel, a wireless data and messaging subsidiary of MCI, and is available for all CTIA Wireless 2005 attendees and other visitors to the area for the duration of the conference from March 14-16, 2005. For the trial deployment, SkyTel is using carrier-grade, back-office software and metro-scale equipment from several networking vendors. SkyTel is leveraging Pronto’s Operations Support System (OSS) for broadband wireless networks to provide captive portal services and subscriber management. Tropos’ MetroMesh routers are being used to extend the reach of Wi-Fi access throughout the coverage area and are being linked back to SkyTel’s Network Operations Center (NOC) via Motorola Canopy’s point-to-multipoint wireless platform. The trial network uses Pronto’s OSS software for broadband wireless networks and the Pronto Hotzone Gateway. Pronto’s OSS supports a ‘mixed use’ environment, allowing various user groups, such as public safety officials, residents and visitors, to securely share the same network while having customized service plans, splash pages and Quality of Service guarantees. Pronto’s OSS also provides the capability to sublet excess network capacity to Virtual Network Operators (VNOs). The Pronto Hotzone Gateway is a 1U access gateway supporting up to 2000 concurrent users. Additional Hotzone Gateways increase the total amount of bandwidth available in a municipal hot zone and provide greater network reliability. Pronto Networks, based in Pleasanton, Calif., provides carrier-class Operations Support Systems (OSS) that enable network operators to deploy and manage large public hot spot and hot zone networks. The company’s software handles provisioning, configuration, authentication, access control, security, pre-paid and post-paid billing, and roaming settlement for large public WLAN networks, in addition to remotely managing and updating multi-vendor hardware and Wi-Fi switches. Pronto Networks is funded by BV Capital, Draper Fisher Jurvetson and the Intel Communications Fund. Pronto Networks was recently named to the AlwaysOn List of Top 100 Private Companies for the second consecutive year and in 2003 received Wired Magazine’s Top 25 Wi-Fi Companies to Watch and Computerworld’s Innovative Technology Awards. 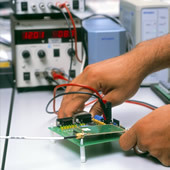 For more information about Pronto Networks, visit http://www.prontonetworks.com. SkyTel Corp., a subsidiary of MCI, is a leading provider of wireless data services including traditional paging, text messaging, interactive two-way messaging, wireless email and wireless telemetry services. SkyTel continues to expand its product portfolio to include services such as FleetHawk Automated Vehicle Location (AVL), and telemetry services such as SkyTel Remote Access. For more information, go to http://www.skytel.com. MCI, Inc. (NASDAQ: MCIP) is a leading global communications provider, delivering innovative, cost-effective, advanced communications connectivity to businesses, governments and consumers. With the industry's most expansive global IP backbone, based on the number of company-owned points of presence, and wholly-owned data networks, MCI develops the converged communications products and services that are the foundation for commerce and communications in today's market. For more information, go to http://www.mci.com. Well, I hope you enjoyed this week's newsletter. If you did, please recommend it to a friend.